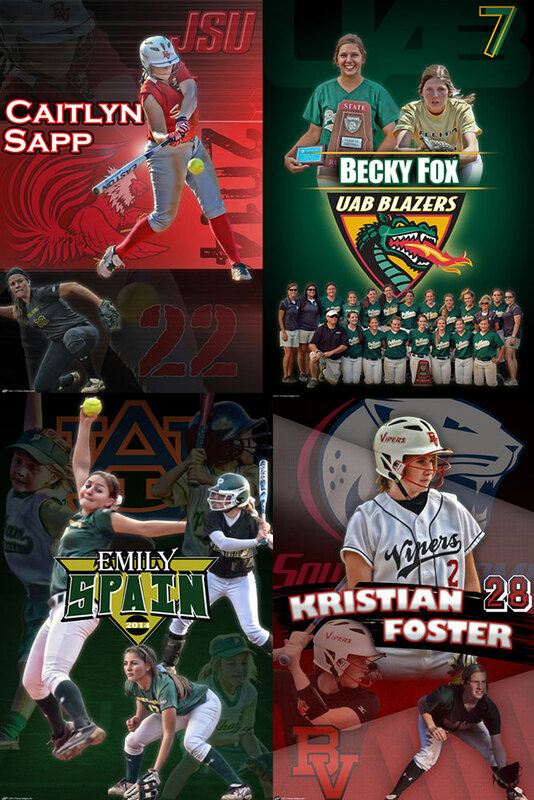 signing banner Archives - Custom sports posters, personalized team collages, senior banners, and team schedules for your athlete! signing banner Archives - Custom sports posters, personalized team collages, senior banners, and team schedules for your athlete! 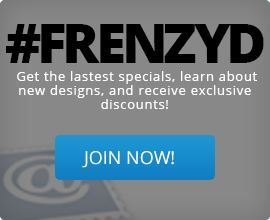 Need to spice up your sport signing? 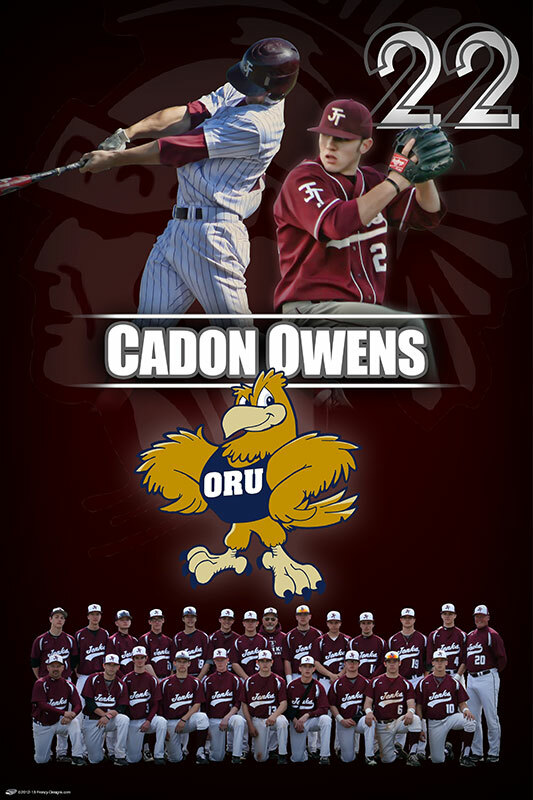 We had the privilege of making a custom baseball banner for Cadon Owens from Jenks, OK for his senior signing party. The design consists of two action shots in the school colors and logo. 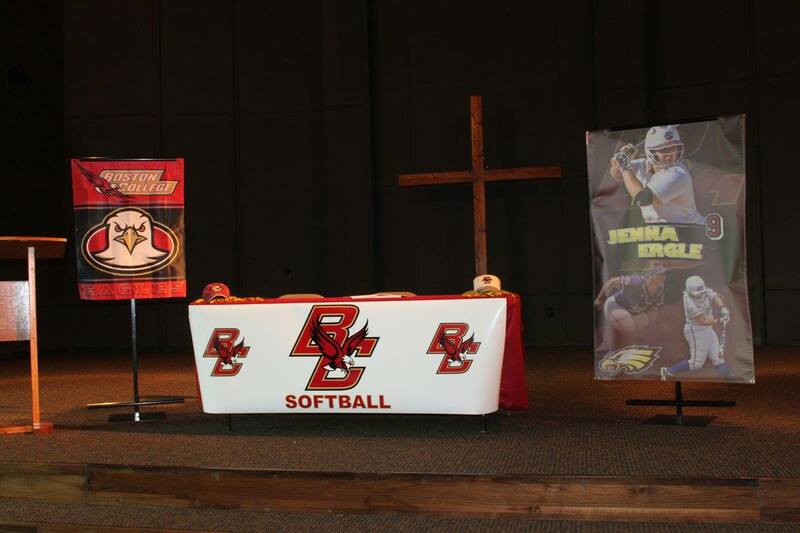 It also has the logo of Oral Roberts University to help celebrate his future in baseball.